I have recently had my engine warning light come on my dash at 119,000 klm on my 2009 Ralliart sedan. I have had the trans fluid and service done at 115,000. The service department at Maitland NSW told me they checked the C Bus and i need to replace my transmission which will cost me $15,000. Is this correct ? or is there any way i can get this sorted out with repairs? PLEASE HELP! Have a talk to DENSTOJ AUTO REPAIRS at Carrington. I'm sure they can help you out. For $15k you can get another 2009 RA. Just out of curiosity who was it that quoted that price? Look at your transmission service invoice and tell us what fluid they put in and how much they charged for it. Find out what the fault code is so they we can give you more informed advice. Are you the original owner? If yes, 10yrs 160k drivetrain warranty applies. lancerdarryl wrote: Just out of curiosity who was it that quoted that price? The code that has come up is P1875. And when i had the transmission service done it cost me $1100 for 4 litres of trans fluid. Now that you have the code, you can start researching. If you go to a dealer, they will replace the whole thing. They don't inspect individual components and just follow the service manual, which says replace. If you go to a sst specialist, they will look at the springs in the torque damper. If it is the springs, they will replace the clutch basket or replace the springs. If it is the damper sensor, they maybe able to source a replacement. If it is an intermittent error, someone also said it could be battery related if you have after market electronics that is sucking too much electrons. BTW, around $1000 for SST service with only 4L of fluid sounds expensive. What fluid they used? Diaqueen SST-F? Contact Benny at Benchmark to see if he can help you out (although I think he might only do older Evos). If that's no help, contact RP Customs in Sydney. $1100 is expensive... Did the dealer do a teach in too? Benny from Benchmark tuned my Evo X sst. Im not sure if he repairs the gearboxes though. RP Customs in Sydney specialise in the SST gearboxes they might be a help. I wonder if they checked the fault code before or after changing the fluid. It's a bit rich of them to charge $1100 for something they say needs replacing asap for $15,000. They should be able to provide an itemised bill and you can see what cost that money, whether it was excessive fluid value or labour cost. I thought they had to provide an itemised account? 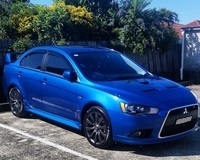 It's hard to believe that face-lift's aside, the Lancer Ralliart and Evo X are now over a decade old! Over the last 10 years we've gained a massive amount of experience both improving the performance, and weaknesses of these cars. One thing we've been working on for a long time relates to the SST gearbox and a relatively common failure with the internal magnets. These magnets are used by the vehicle's electronics to determine the current state of the gearbox. When they fail, the result is a warning light and mis-shifting. In this video Brett demonstrates the cause of this issue and a new fix which solves the issue for good. 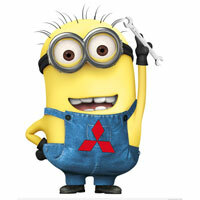 Got an EVO X or Lancer Ralliart with SST transmission issues? Give us a call on (02) 9767-4545. If they only used 4ltr of fluid then that is the issue. SST oil changes use 6 - 6.5ltrs of fluid. I have changed mine myself 6 times now and that is definitely what they take. If they only used 4ltr then that would explain the failure - for all the bad press the sst is a strong gearbox. Mine has 255,000km on it and still going strong. I assume for the price that it was MIT's that did the change? I would be asking serious questions about why my gearbox failed 4000km after they touched it. Was this the first sst oil change? Are you the original owner? Was the gearbox playing up when the light came on? rusko110 wrote: Contact Benny at Benchmark to see if he can help you out (although I think he might only do older Evos). If that's no help, contact RP Customs in Sydney.